Happy 2009, everyone! I hope you all had a wonderful New Year's Eve and recovered quickly from all the *ahem* celebration. I had a quiet night myself and am looking forward to an exciting year filled with new accomplishments, lots of love and laughter, and amazing experiences. Which brings me to this year's goals. I heard about 100 Things in 1001 Days a while ago and thought it might be something I wanted to participate in. When I was reminded of it a few weeks ago, I decided that I'd make my list and get started on January 1st. The list of challenging goals that are both specific and measurable and can be attained over the next 1001 days (that's about 2.75 years) was not as easy to create as I thought it would be. It took me several days and a lot of creative thinking and brainstorming. The list I finally came up with is below, and my one resolution for 2009 is to actively pursue my 101 Things Project and track my progress at the end of each month. Tasks must be specific and measurable. Tasks must also be realistic and stretching (they should take some effort). 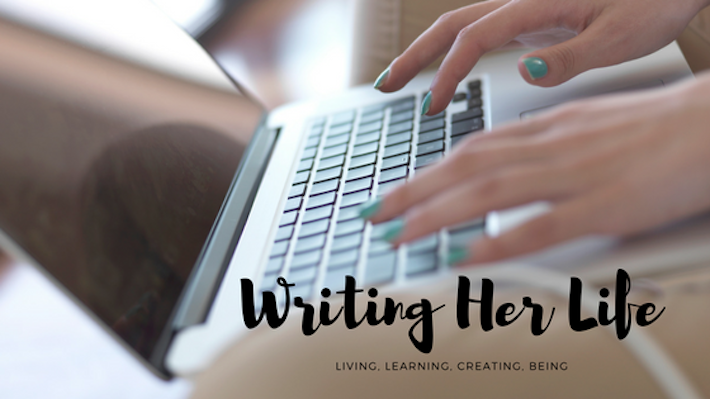 Volunteer as a writing tutor or mentor. It's time to say goodbye to 2008 and look forward to 2009. Looking back on my 2008 posts, I found the Year-End Meme that I completed last year, prompted by sognatrice over at bleeding espresso (who is continuing the tradition, as well), and decided to give it another go. As for 2009? Stop back later this week for my 2009 goals. As usual, I didn't make resolutions last year, per se, but I did create a Thursday Thirteen list of goals to accomplish in 2008. Without relisting them here, let's just say that (as usual) I did well with some of them and not so well with others. I've decided to something a little different this year. I'll post about that tomorrow. Two friends had a baby girls. Last year I said, "More focus on the things that I'm passionate about." I'd say this year I could stand more focus again. I would also like to have more time with my family and friends. August 23rd - they day I held New Lines in my hand and flipped to my very first printed essay. November 4th - Yes, we can! Getting my essay published in New Lines from the Old Line State. Not getting myself into a regular exercise routine again. Nothing more than a cold or two. Planning a trip to visit my sister; having my essay published, reading that essay in front of real live people, and then reading it on the radio for everyone to hear. (a) happier; (b) I prefer to call it "thicker"; (c) richer...I got a promotion! Still in love with My Love...and there was that stray kitty that stole (and then broke) my heart. Alanis Morissette's "Flavors of Entanglement"
I turned 32 and spent the day doing mundane tasks. I had a really great year, but I think there are two things that would have made it more satisfying: 1) having been more dedicating to making healthy choices; and 2) having finished the book proposal project I've been working on. Cuddles with my kitty; time with My Love, my friends and my family; mini-vacations; blogging/writing; and lots of reading. Several friends and my entire family. I felt very separated from important people this year. It wasn't the first year away from them all, but for some reason the distance seemed especially far. I met several wonderful new people in 2007, but there were four women in particular that had some major impacts on my writing, thinking and/or living: Ann Bracken, Lisa Spahr, Marion Winik and Amanda Moxley. That gratitude is a powerful tool. And I have been missing the rapture this whole time of being forever incomplete. How do you feel about 2008? Did you do all that you wanted to do? Was it a good year? Are you ready for 2009? I'm fully engulfed in last-minute gift-getting, eating wonderful food, family activities, wrapping, did I say eating?, and all the fabulous traditions of the holiday season. But I wanted to take a moment out of all that to stop by and say hello. I hope you're all enjoying this time of the year, whether you celebrate Christmas, Hanukkah, or some other winter holiday. Thank you for being such wonderful people. I deeply appreciate your comments and the connections we've made. And I wish you all a beautiful holiday and a blessed New Year! I'm so glad I discovered the TBR (To Be Read) Challenge a few years ago, because it keeps me motivated to read those books I collect so compulsively. I'm glad to be a reader, but sometimes my love of books is bigger than the shelves I have to hold them. The TBR Challenge for 2008 didn't go so well on my end. I got distracted by books for reviewing as well as new and used books hot off the shelves of the bookstore. I also seemed to have less time for reading this year, although I'm not exactly sure why. Priorities, I suppose. Anyway, I managed to read 7 wonderful books off my 2008 challenge list. I enjoyed every one of them and even added a few books by some of the same authors to my shelves. This is one of the benefits, as well as the curses of reading. As soon as I finish one book, I find I've added several more to my list of books I'd like to read. The more authors I find I enjoy, the more books I have to add to my shelves (physical or virtual). Several of these were on my list from last year (and the year before), but I'm hoping to plow through many of them this year. While 12 is the goal of this challenge, and 24 might be a miracle, 15 or so shouldn't be too high of a bar to set. So just in case I get through the 12 above, or I find I just can't get through some of them, here's this year's alternates list. If you want to join the challenge, visit the official challenge site and sign up. There's always room for more readers (if not for more books). Have you read any of these books? Any suggestions on where I should start? We've come to the end of the Question Me Good series. My final question was a great writing prompt. You wouldn't believe all the scenes that I jotted down when I started working on my answer. If you're looking for something to get the writing juices flowing, you should give this one a try. Shelby asks: What are the sounds that you remember from long ago, or when you hear a random sound, does it ever trigger a memory? Talk about the sounds and memories. Songs are the most powerful memory triggers for me. There's "Come to My Window", which reminds me of a particular early summer day, right after I finished taking a Regents exam. My mom picked me up and the song was on the radio. The one and only time I ever danced with a particular crush was to "Groovy Kind of Love" at a school dance. He was wearing Obsession and I was wearing a green striped drop-waist dress. I remember being rather young and riding in the car with my mom singing "I Am Woman" at the top of our lungs. I also remember dancing in my bedroom while listening to my records: the Chipmunks Christmas album in particular. There was a summer day when my extended family was visiting and I played my George Michael tape on my boom box while I read on lounge chair in the yard and everyone else ran around playing and yelling. It's pretty amazing what scenes of my life I can remember when a song comes on the radio or into my mind. Music seems to connect me to moments that were important in my life, but also to moments that were otherwise pretty everyday and insignificant. I'm thankful for that, because I feel like it's those everyday moments that made me who I am. What sounds trigger memories for you? If you're just tuning in, check the rest of the series. Hi everyone! I bet you thought I'd gone MIA and you were going to have to send out a search party for me. Or that I'd been abducted by aliens never to be seen again. Or that I had enlisted in the Peace Corp and was off to Africa. It's just been a busy couple of weeks and after a month of blogging almost every day, I didn't figure you'd miss me much. Unfortunately, a couple days' break turned into a couple weeks. I hope you're all well. I've missed you! I haven't been getting much sleep, but I've been enjoying December and getting excited about 2009. Hope you're all having fun this month and aren't getting bogged down in the holiday rush. 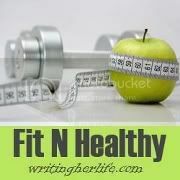 If you are, check out a couple of my articles at Healthy Bliss for some great tips on handling the holidays. And there's one more post for the Question Me Good series, so I'll be sure to get that up this week. Have a great Monday! I'm nearing the end of the current question bank, so if you haven't asked me a question and you'd like to, go here and submit your queries. For today's Question Me Good post, nejyerf gave me a fun little exercise. Below is a list of song titles and/or lyrics that are in the form of a question. You can either tell us the song/singer or give us an answer or both. Challenge!! Because my hair looks like a nest. Because you're married and I'm practically engaged. There are no dogs, only cats. The little voices that remind me how long the drive is...what? Can't you hear them? To take a hot, candle-lit bath with a good book and a glass of wine. Right now--you're loved more than you know! If you've got a burning question for me but haven't had a chance to ask it, you can go to the original post and leave your question in a comment. I'll keep answering a question or two a day until they're all answered. If you're just tuning in, check out the rest of the series. Last week I posted about why I need Africa and introduced you to the Mocha Club. Today they're launching an all-out campaign to remind people why they need Africa. I encourage you to read the information below, check out the YouTube video and go to their site to learn more about Mocha Club.